A Pathwork Helper is deeply immersed in the Pathwork material and has personally experienced its transformative power. Each Helper has undergone intensive training both to teach the material and to hold individual and group sessions to guide others on this spiritual path of self-discovery. is a Pathwork Helper and has been a psychotherapist since 1980, specializing in spiritual psychology, family systems, therapeutic arts and relationship therapy. She is certified by the Institute of Imago Relational Therapy. Her practice is in Lansdale, PA near Bluebell. is a Pathwork Helper bringing an integrative, body-centered approach to her private practice. She believes passionately in gently awakening the consciousness in our bodies to more fully support our personal and spiritual journeys. 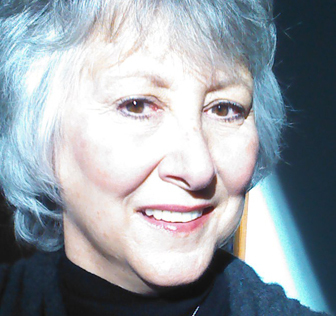 Joyce holds certifications in various bodywork modalities and has trained in Early Childhood Development and Hellinger Family Constellation Therapies. Her practice is in West Chester, PA.
is a Pathwork Helper who was introduced to the Pathwork in Iowa City, Iowa in the mid-1990s. Richard has been a massage therapist and Rolf Method of Structural Integration Practitioner for many years. He works as a psychotherapist, having graduated from the Rutgers School of Social Work, His practice is in Kingston and Princeton, NJ. is a Pathwork Helper and a hands-on practitioner of energy healing, bodywork, Kabalistic Healing, and Cranial Sacral Therapy. She is a graduate and former faculty member of the Barbara Brennan School of Healing. Carol is also a student of “Somatic Experiencing” originated by Peter Levine, which helps people deal with trauma in a gentle, non-intrusive way. She finds this a perfect complement to Pathwork and helping others work though childhood history and pain. Her practice is in Trenton, NJ. You can read her blog here. is a Pathwork Helper and licensed massage therapist in New Jersey. She brings a combination of heart, humor and reverence to her workers in helping them fulfill their desires. Mary is a graduate of Rutgers University with a degree in communication, and a graduate of Health Choices Center for the Healing Arts. Her practice is in Somerset, NJ. is a Pathwork Helper and Certified Holistic Nurse and Reiki Master/Teacher. She holds various certifications in Holistic Health and works as an Integrative Therapy Nurse at RWJ Hamilton. Since graduating from the transformational program in 2002, she has pursued advanced studies in Pathwork culminating in graduation as a Pathwork Helper in June 2012. Her practice is in Hamilton and Princeton, NJ. is a Pathwork Helper and a psychiatrist. She has extensive training in psychotherapy and has widely studied Buddhist and Sufi meditation, Jewish Renewal and Kabbalah as well as alternative medicine. Her practice is in Jenkintown, PA.
is a Pathwork Helper and was a scientist and corporate manager for 25 years. She has also studied transformational healing with several shamans, who teach the ancient ways of living in balance with nature and supportive energetic healing practices. Her practice is in Greenville, PA.
is a Pathwork Helper who was formerly president of a Healthcare Service and Software Company. She now brings her nuturing qualities of kindness, acceptance and humor to Pathwork. Helping others achieve meaningful relationships using Pathwork principles is her deepest passion. Her practice is in Garnet Valley , PA and she also provides phone, Skype and iPAD Facetime sessions. Donna serves on the Philadelphia Pathwork Board as Treasurer. is a Pathwork Helper, bringing an integrated approach to her practice which includes Pathwork, Energy Healing and Essential Oils. She is trained in hands-on and long-distance energy work, utilizing Brennan Healing Science, Non Dual Kabbalistic Healing/A Society of Souls, and Energy Healing/ School for Enlightenment and Healing. She is a graduate and former teacher of the Senior and Graduate Classes at the Barbara Brennan School of Healing. Her practice is in Merion Station, PA.
is a Pathwork Helper who has been studying Pathwork since 1996, including the 50/50 work with Judith Garten. She is particularly experienced in working with early childhood trauma. Her many years of meditation also give her a facility for helping others explore their dreams and inner landscape. An executive in marketing communications, she also serves on the Philadelphia Pathwork board as Communications Liaison and Special Programs Coordinator to develop new workshops. Her practice is in Princeton, NJ. is a Pathwork Helper and founder of the Philadelphia Pathwork. She joined Pathwork in 1975 and was privileged to be present when Eva was channeling the lectures. She has taught Pathwork and Pathwork Helpership Training in Brazil, New York, Michigan, Philadelphia, and Virginia. Her practice is in Hulmeville, PA.
is a Pathwork Helper and licensed psychologist working with adults and adolescents in individual, group and family contexts. She is a trained family therapist. Her practice is in Philadelphia, PA.
is a 50/50 Pathwork Helper. She teaches in various Pathwork regions and works with regional leader groups. Lorraine also works in secular organizations, translating Pathwork concepts for organizational and leadership development interventions. She has also brought Pathwork concepts to an anti-racism workshop series developed with a colleague; this workshop series has been running across the U.S. since 1996. (She is not currently taking on new workers.) Her practice is in Chalfont, PA 18914.